You may recall Aseem Malhotra from his numerous ill-informed articles on the subject of obesity. On the last occasion we met him, he managed to attribute every single death from heart disease, cancer and diabetes to diet—a special schoolboy error that managed to get by the Guardian's sub-editor. Undeterred, Dr Malhotra will be appearing on Newsnight this evening calling for 'junk food' and alcohol companies to be banned from sponsoring the Olympics. As an hors d'oeuvre, the BBC has given him an editorial pulpit from which to spout his views online. The scale of obesity and diet-related disease around the world is alarming. According to the United Nations, diet-related diseases such heart disease, diabetes and cancer pose the greatest global threat to our health; contributing to a staggering 35 million deaths per year, dwarfing the six to eight million smoking-related deaths each year. 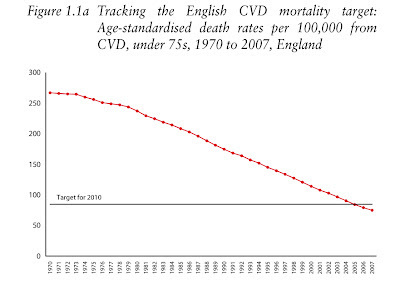 As I said in April, it is disingenuous—indeed it is plain wrong—to suggest that those 35 million deaths are caused by diet, let alone by 'junk food'. 35 million is the total number of deaths caused by "obesity, cardiovascular diseases (CVD), cancer, and diabetes" worldwide, representing 60% of all deaths every year globally. In other words, he has combined the total number of deaths attributable to the diseases of old age and defined them as 'diet-related'. It is true that they can be diet related - just as they can be related to a number of other factors - but that hardly justifies presenting the bald statistic as if all these deaths could all be prevented by modifying diet, let alone drawing the conclusion that 'junk food' is more dangerous than smoking. Doing so suggests either appalling ignorance or a degree of mendacity. In Britain, one in three children are either overweight or obese by the age of nine, with six out of 10 adults in the same category. Every prediction about obesity has been wildly wrong and the "90%" prediction—which is only endorsed by a few quacks on the fringes of the debate—will be no different. ...and cost the NHS and the tax payer £45bn a year. Like many a campaigning medic, Malhotra does not understand the difference between social costs and financial costs, nor can he grasp the difference between private and public costs (see also Sarah Wollaston). For what it's worth, the study he is referring to claimed that obesity would cost the NHS, and therefore the taxpayer, £6.5 billion a year by 2050. A sizable sum, but a fraction of what Malhotra is claiming, and certainly not enough to cripple the NHS as we know it. Unless we get a grip of this public health emergency I believe it will cripple the NHS as we know it. Furthermore, as I explained at length in The Wages of Sin Taxes, such calculations never take into account financial benefits. 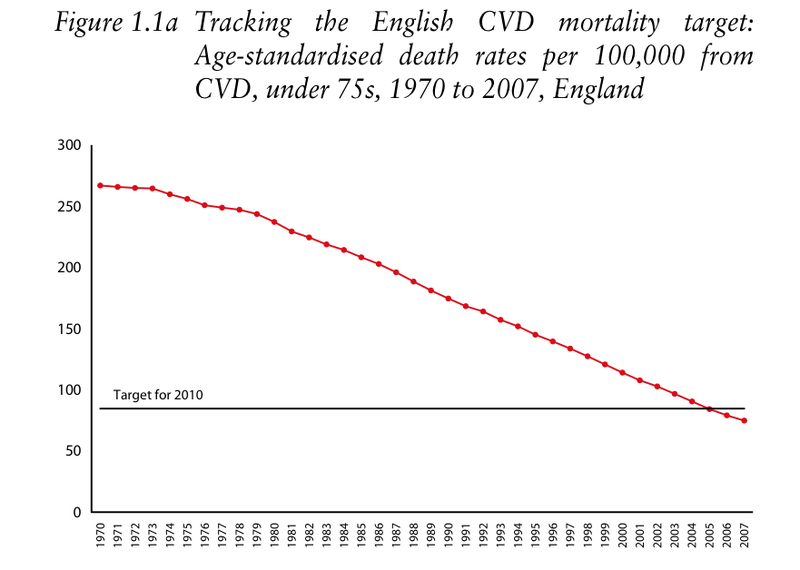 With obesity, as with smoking, premature mortality results in net savings to the taxpayer. That is not a reason to encourage it, but it is a reason not to claim there are negative externalities which require urgent action from the collective. But since Malhotra thinks 90% of taxpayers will be overweight or obese by 2050, they could hardly be called externalities anyway. So what is the biggest culprit? More and more evidence is emerging that it is sugars, more specifically High Fructose Corn Syrup (HFCS), which is added to almost all processed food. Oh dear. Yes, there are some people in America who think that High Fructose Corn Syrup (HFCS) is somehow worse (more fattening) than normal sugar. It is certainly true that the amount of HFCS in American foods has increased greatly in recent decades thanks to a "near insane system of subsidy". But in Europe we don't use HFCS very much at all, partly because we don't subsidise it and partly because the European Union sets strict quotas on the amount that is allowed to be imported. HFCS makes up less than 2% of the EU's sugar consumption. People are mixing and matching the US and not US experience. Evidence in one place is being used as evidence in the other. But the two experiences are entirely different. The US has indeed been swamped with High Fructose Corn Syrup: HFCS (actually, sod all to do with the corn industry, it’s the cane and sugar beet industry which maintains the import barriers to the much cheaper world supplies of cane sugar). The rest of the world hasn’t. So almost all of the US panicking about HFCS simply does not apply to the rest of the world. However, as was noted at the time, the world's population has more than doubled in the past 50 years and countless millions have been lifted out of poverty, so a trebling in sugar production is neither amazing nor scary. ...and is so damaging to our health that it should be regulated like alcohol. See here and here for my thoughts about Dr Lustig and his peculiar theories. As a cardiologist I treat heart disease on a daily basis. Well you would, you wouldn't you? 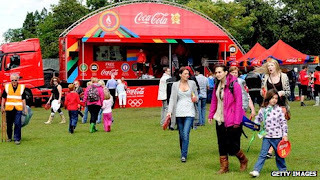 Of course the Olympic sponsors cannot be held accountable for Britain's poor health, but their connection with the Games sends a dreadful message. If they can't be held responsible for Britain's "poor" health (which has never been better, but anyway...), then why does it send a dreadful message? If these companies and their non-existent High Fructose Corn Syrup are not making us fat then there can be no justification at all for restricting their freedom of speech. But clearly you do blame them, so why so tongue-tied? Worried about getting sued? In the context of an obesity epidemic I find it obscene that the Olympics chooses to associate itself with fast food, sugary drinks, chocolate and alcohol. Tough luck, sonny. Society has no interest in what you find obscene. The Olympics is a spectator sport. Watching it is an entirely sedentary experience. I have never understood the argument that people who watch sportsmen have to live up to some ideal of physical fitness and nutrition themselves. How did this ridiculous notion take hold? "I think it's quite shocking that McDonald's, Coca-Cola, Cadbury's, and Heineken are the main food sponsors," she says. You're seriously quoting Diane Abbot to me?! I'm no more interested in what she finds shocking than I am in what you find obscene, but if I'm going to be lectured on nutrition I'd rather it wasn't by a woman who weighs about twenty stone. Still, it's good to be reminded of what Labour's ban addicts would be doing if they were still in power. I also believe it is wrong for sporting role models to endorse junk food such as sugary drinks, chocolate and crisps. Of particular concern is the negative impact this has on our children. The first person to mention “the children” in an attempt to sway public opinion has lost their case. And it is naive and ignorant of sports men and women to blame obesity on lack of physical activity. I encourage the health benefits of regular exercise, but this is not the solution in tackling obesity. - a decrease in physical activity due to the increasingly sedentary nature of many forms of work, changing modes of transportation, and increasing urbanization. The only reason medics like Malhotra dismiss the importance of physical inactivity is that they have not yet found a way to ban it. It is time for regulation that has an impact. A ban on firms such as McDonald's and Coca-Cola from sponsoring major sporting events and the prohibition on the use of celebrities to sell unhealthy food and drink to children would be a good start. But only the start, eh, Malhotra? Malhotra's Newsnight report was even worse than the above article implied. You can watch it here. Brilliant quote about Diane Abbott. She is a right old cow and must be stopped. How about showing that you have applied some kind of sound logic to some kind of reliable evidence. It would definitely increase your credibility above zero. The WHO take on physical activity, avidly touted by the comfortably off middle classes, seems to imply that the best thing for the masses is to put them back to hard labour. Back to hoeing, digging and dragging heavy weights around. Back to the days when there were no machines to do things, back to when sweat and muscle power were the only ways to produce food and build the inspiring edifices of church and stately home. We were all so much healthier then, for all of the forty odd years we might have expected to live. Coca Cola make 2 zero calorie versions of their most popular product that are heavily promoted. They also fund athletes who unlike the privileged Malhotra could not afford to be in London without their good will. I welcome their presence rather more than I do that of lippy, intellectually challenged medics. Diane Abbott is a very stupid very ambitious waste of our taxes. It is unsurprising that this utter drivel is actively promoted by the BBC. No agenda there of course. Chris sounds like the Dr is the lil boy who cried WOLF or the sky is falling once to often ehh! Personally I'm convinced that cutting out cakes and biscuits and substituting fat and protein is the secret of a slim waist, and that fat doesn't have much effect. Don't know why. It just seems to work. Chris, are you saying that 1 cal from sugar has exactly the same effect on body fat as 1 cal from protein? Never understood why McDonalds is demonised. Haven't been in one for twenty years, so don't know much about their evil deserts; but what's wrong with lean beef, potatoes, veg oil and a bit of salad? It's been the preferred meal of the wealthy for at least a century and they live the longest. Absolute nonsense predicting 90% of the country will ever be obese. The doctor is bringing science and medicine into disrepute by making such a claim. Saw a trailer last night for "Myths about your five a day." Always good value. Seem to recall he more a veg than a fruit man. The Guardian writer you mentioned was Jacques Peretti, a documentary maker who is currently presenting the BBC documentary "The Men who made us Fat". Naturally, it includes many of the mistakes you have identified. In particular, he jumps between American society and British society, allowing him to make the HFCS claims about both, which is obviously flaws. Also, I believe the American Medical Association disputes the link between HFCS and obesity, which is presented as fact in both his film and that article. "Sugar is the only substance that humans ingest that has no nutritional value whatsoever. … Unique in that respect." "5 times more than tobacco." "I'm most concerned about the children." Good to see that you have so many "friends" who apply the same rigor as you do. I couldn't bear the though of you feeling lonely. The most frustrating thing about Malhotra is he is not even a consultant. The guy is technically still a junior doctor in training and yet recently seems to be spouting off about anything the media wants to have a medical opinion about without making it clear he's not fully qualified. The guy is obviously more interested in seeing himself on TV than finishing off his training. Lustig's flab is disguised under his jacket although I have never actually seen I photo of him full-on!! I suspect the reason for this is he may have a lot in common with Ms Abbott!